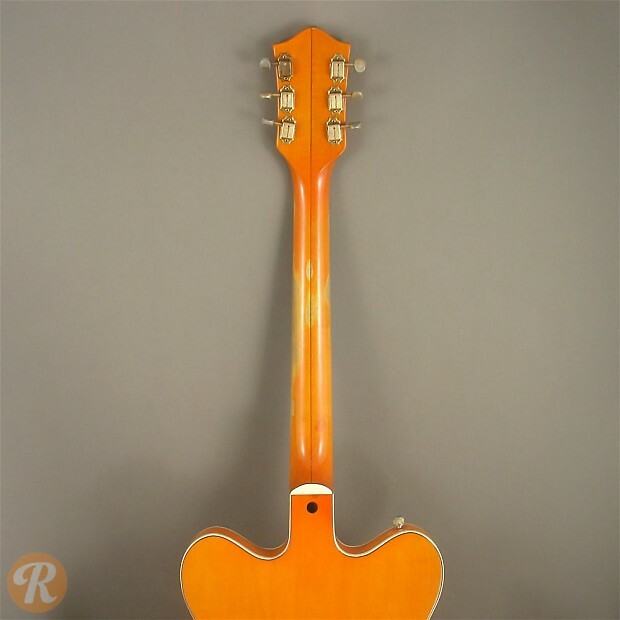 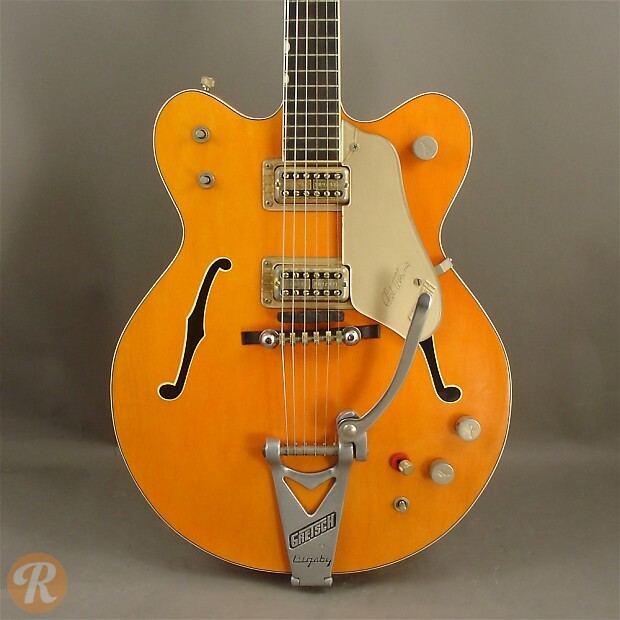 The first of several Gretsch guitars with the endorsement of country legend Chet Atkins, the 6120 Chet Atkins Hollowbody is a prime example of the type of guitar most commonly associated with Gretch. 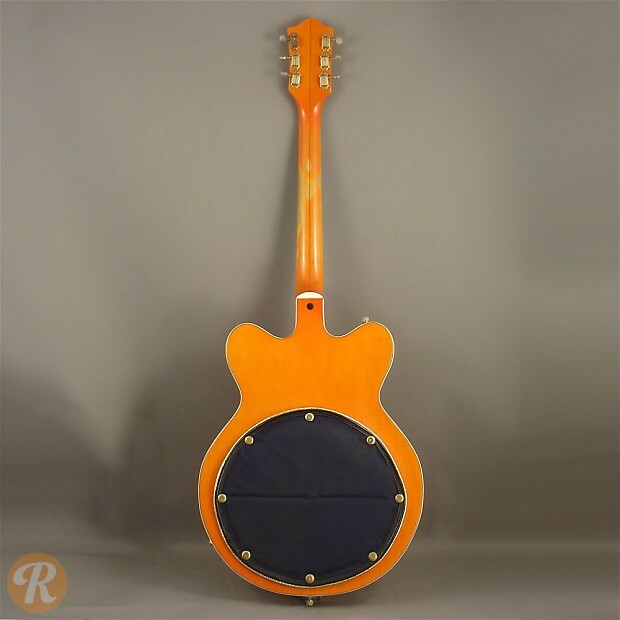 This electric archtop premiered in 1955 with bound F-holes, a Bigsby tremolo tailpiece, and a striking set of finishes. 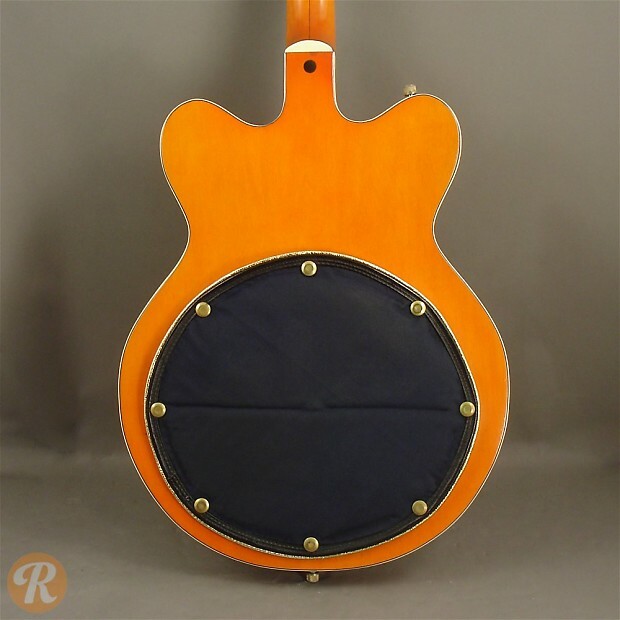 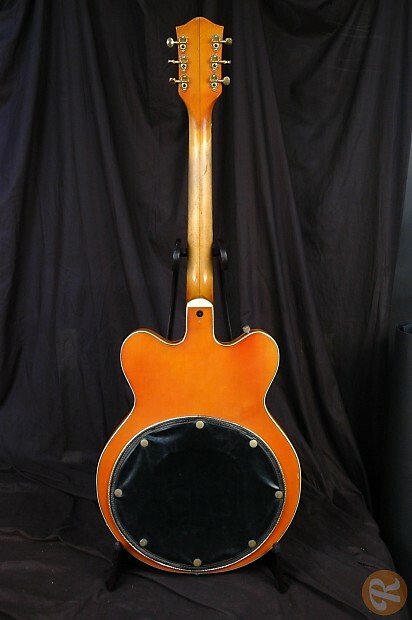 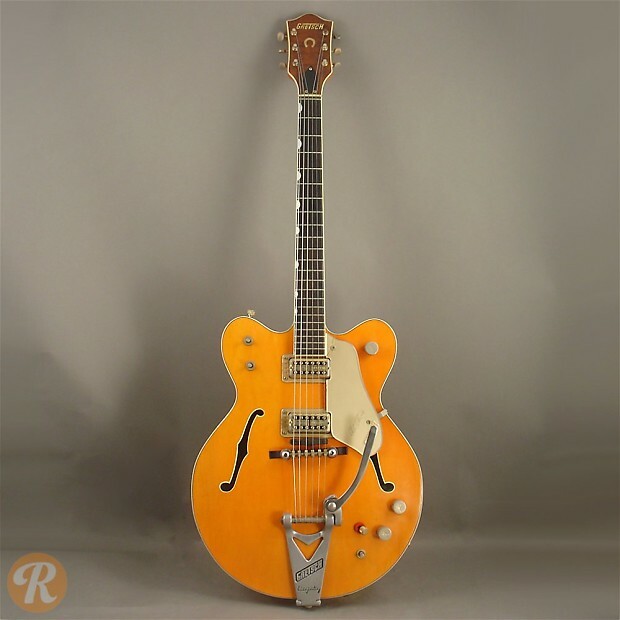 Like many Gretsch archtops, this model has been embraced by a number of rockabilly guitarists including Brian Setzer. 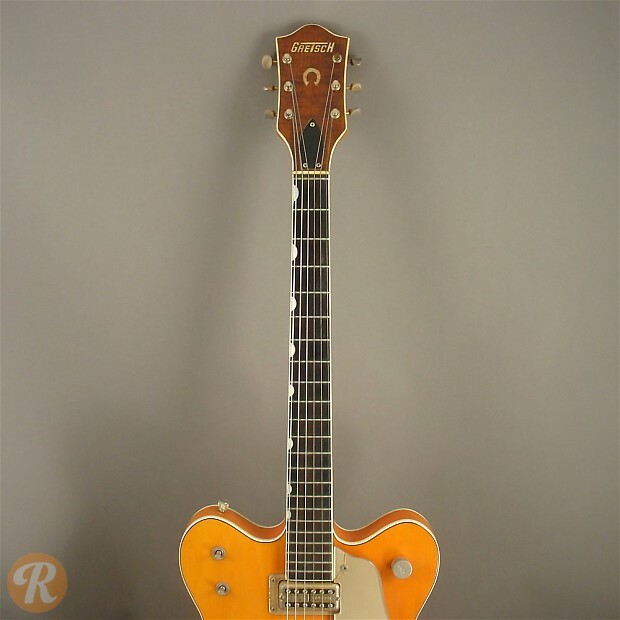 In late 1961, the 6120 switched form a single to a double cutaway design.